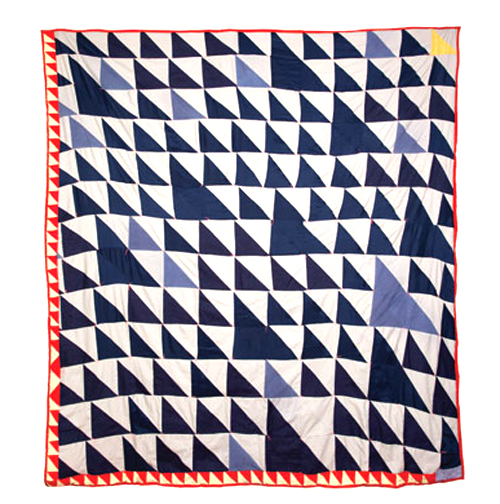 Katherine May translates patchwork into high art. Her large scale pieces bring an immersive, formidable dynamic to colour, ‘simultaneity’ and pre-loved cloth. She takes a traditional form to new heights of quality, feel and experience. Underlying narratives of multiplicity, fragmentation, integration and complexity structure and underpin the work. For more on her influences and processes see The Geometrics: Volumes 1 and 2. Recent exhibition and publication include Water-Colour at Precinct-Arthaus, PM Gallery, Liberty of London, Stella and The Sunday Telegraph.